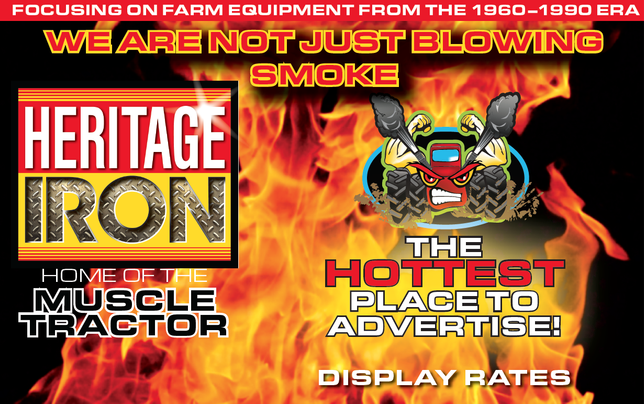 To download a PDF of our ad rate sheets, Click HERE. Looking for additional ways to market and advertise your events and business? Click HERE to download a PDF of our custom printing products available! 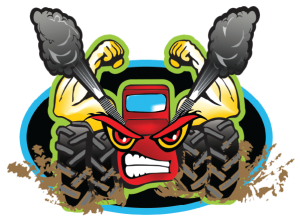 Founded in 2008, we promote tractors, farm equipment, and manufacturers of the 1960-1990 era. 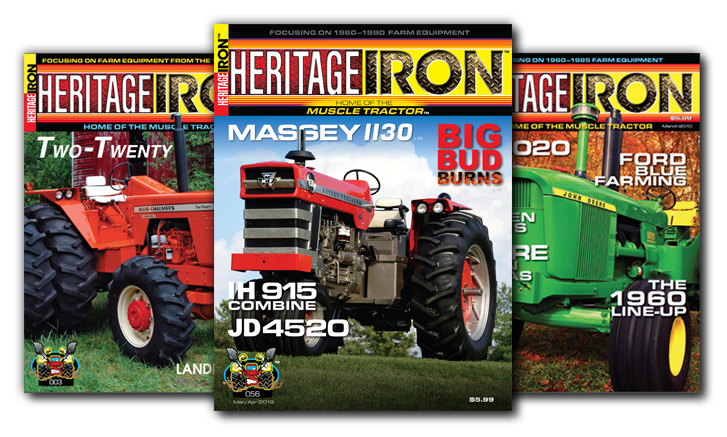 Heritage Iron caters to three generations of readers and is the most comprehensive magazine on the market covering all brands of farm equipment. Niche Magazine Conference awarded Heritage Iron Best New Launch of 2008. Total circulation for this magazine is 17,000 and growing. Our magazine is bi-monthly and has subscribers both nationwide and internationally. We are readily available in over 2,000 Tractor Supply stores across the U.S. as well as select farm shows throughout the year. Our strongest presence is in the Midwest. Unlike a newspaper or a website, people take the time to sit down and digest every word of our magazines, including the ads. Most people read them more than once. We are NOT an ad-based company; we are subscription based, which means we keep our ads to a minimum. We also keep our ads clean and relevant to our publications. We take pride in each issue, and our staff members strive to give our readers the best experience possible when they receive a publication with our name on it.